50 years ago, on Christmas Eve, 1968, one of the most famous and iconic photographs in history was captured, fortuitously, by the crew of Apollo 8 as they were orbiting the moon. The photo was dubbed Earthrise, and it had an enormous impact on our collective consciousness as it appeared in newspapers, magazines and books all over the world. Said NASA’s Kristen Eriksen in 2009, “it changed humanity’s entire orientation”. It was the first time that so many would see the planet as a whole. Suddenly we had a far greater sense of context about the terms by which we live—on what is, from this perspective, a tiny oasis in the darkness of space. For the astronauts of Apollo 8, Frank Borman, William Anders, and Jim Lovell, the moment was a surprise. There were many photos scheduled during the mission, but the rising Earth was not among them, and all were taken aback when they first saw it. The moment was reproduced in a fascinating visualization created by NASA, which shows the exact position and orientation of the command module, along with the actual audio recording of the astronauts’ reactions. They scrambled to locate a roll of color film, and with only seconds to spare, captured the Earth while it was still near the limb of the moon. The astronauts immediately realized how powerful the image was. “We came all this way to explore the Moon” said Bill Anders, “and the most important thing is that we discovered the Earth”. Of the more than 500 people that have been to space, only 24 have traveled outside of low-Earth orbit, to a position where they could see the planet as a whole, and all have said that it was a profound experience. “Raging nationalistic interests, famines, wars, pestilences don’t show from that distance,” said Jim Lovell. “We are one hunk of ground, water, air, clouds, floating around in space. From out there it really is ‘one world’”. Eugene Cernan, of Apollo missions 10 and 17, said that seeing the Earth “was one of the deepest, most emotional experiences I have ever had”, and Apollo 9’s Rusty Schwieckart said that “it changed my life”. Though just a snapshot of that experience, Earthrise did become what historian Robert Poole describes as a “tipping point”, after which we would see ourselves and our planet differently. It was a milestone in human exploration, and a spark for the environmental movement. 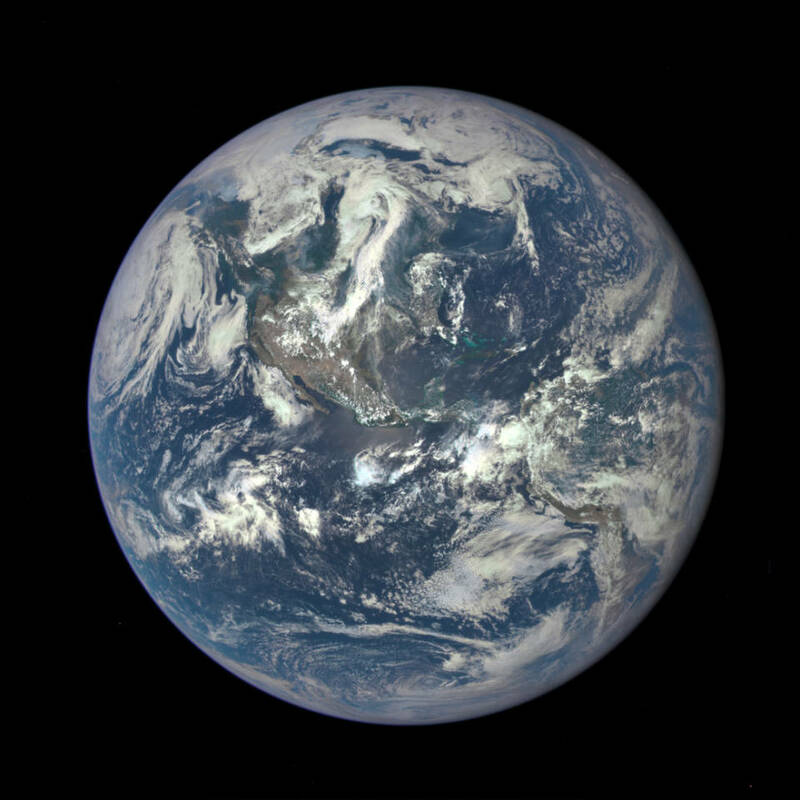 “We should cherish our home planet” wrote the Christian Science Monitor about the mission. “[We] have no other sanctuary in the solar system… this, perhaps, is the most pertinent message for all of us that the astronauts bring back from the moon.” Now, five decades later, that sense of perspective seems more important than ever.